Dimension Information : Tee Size 32mm To Centre Pin.90mm Long. 6.5mm Dia Pin. 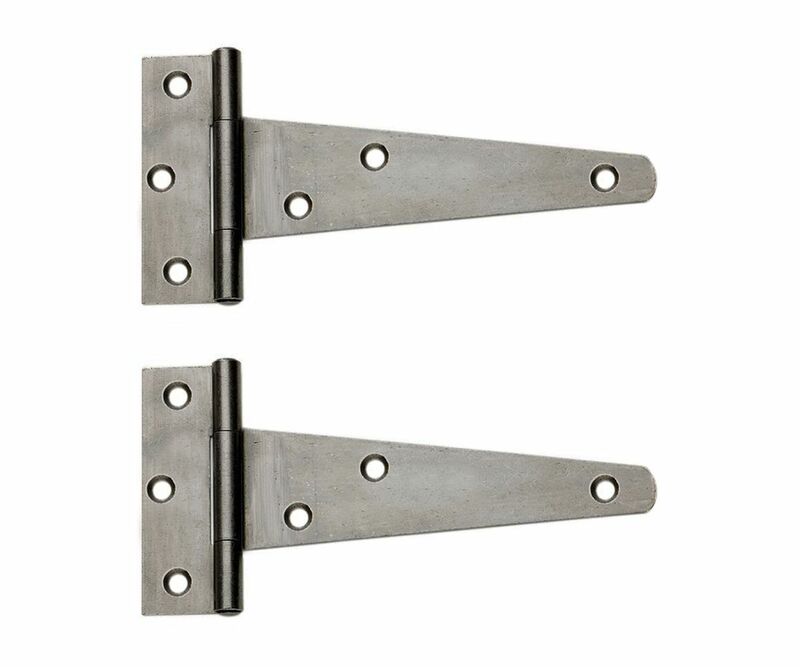 The 150mm Weighty Scotch Tee Hinges are the heaviest of the tee hinges and are used for the heaviest of domestic gates and shed doors as well as general garden furniture. The Self Colour finish allows you to choose the coating of the hinge.